Artist Kasey Tararuj, aka One-Eyed Girl, always creates some awesome in her own unique style. Kasey's latest customs, "Duck Hunter" and "Yosh and Baby", were created for the "8 Bit and Beyond: 2" group show at the Bottleneck Gallery in Brooklyn, NY. Curated by Chogrin, the show centers around the video game characters. However, inspiration is not limited to the 8 bit realm of characters, hence the "Beyond". Kasey's "Duck Hunter" piece is inspired by an 8 bit video game classic, Duck Hunt. 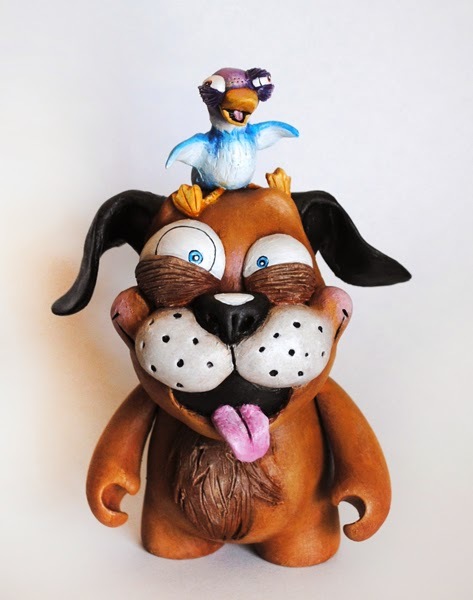 Kasey created the obnoxious dog and target duck using a 4" Bub and some great sculpting and paint work to bring the piece to life. This piece is priced at $200 and is going to initially be available at the Bottleneck Gallery during the show. Kasey also created a second piece for the "8 Bit and Beyond: 2" show, "Yosh and baby". This piece was inspired by Kasey's favorite childhood video game, "Yoshi's Island". 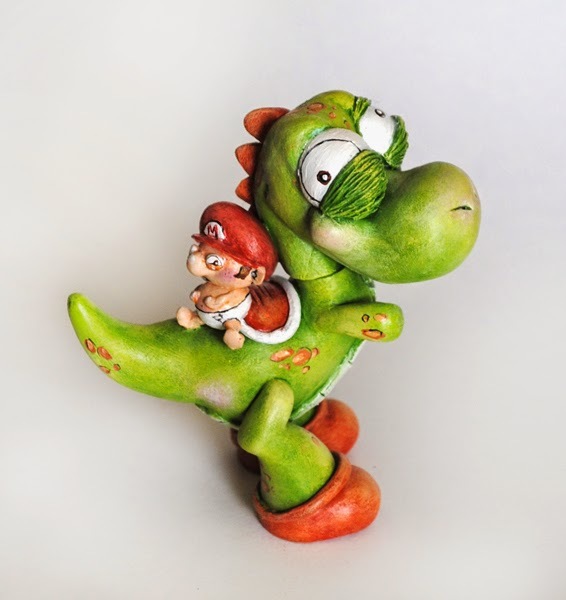 It features the character Yoshi and a baby Mario, which was created from a 4" vinyl Joe Ledbetter piece. Again, Kasey uses inspiration to create a well known character in her own unique style. This wonderful piece is priced at $175 and will also initially be available at the show. 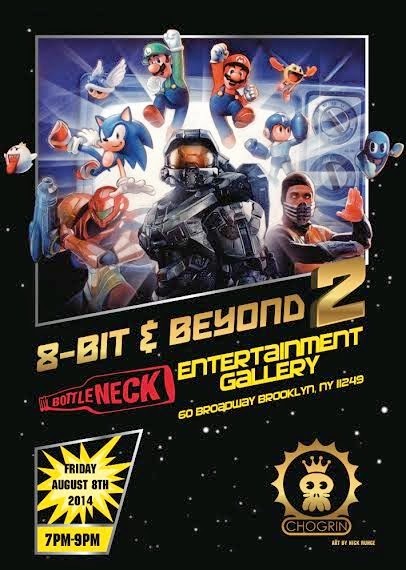 Opening reception for the "8 Bit and Beyond: 2" show is Friday August 8th from 7pm to 9pm. Those in the area should take a trip out to Bottleneck Gallery and support some great art.